This is a lovely carnation graphic from a Victorian scrap. 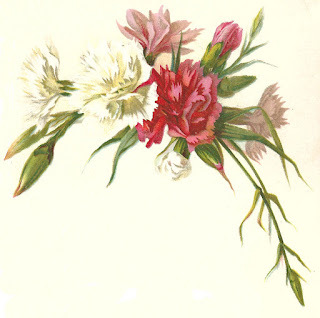 I love the variety in colors, the white, pink, and red, in this flower clip art. This is a simple, sweet image that would work well in almost any project. I hope you enjoy!